Tips4PC.com: What Is The FltMgr.sys Error & How To Fix It? The main reason as to why errors in FltMgr.sys occur is that the file becomes either unreadable or damaged. On occasions where the file is corrupted or damaged, the error message will be repeatedly flashed on your screen. 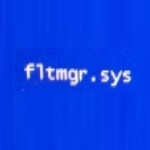 It should be noted that the most common cause of the FltMgr.sys error is just temporary in nature and can be fixed by simply restarting your PC. This tutorial will teach you the different approaches in fixing this error when the cause is something more problematic. Tips4PC FltMgr.sys errors, Windows blue screen errors. permalink.